A beautiful light lime green tourmaline from the famed Himalaya Mine in Mesa Grande, California, 0.88 carats. The Himalaya Mine in Mesa Grande, California is world-famous for its production of gem-quality tourmalines in a variety of hues. 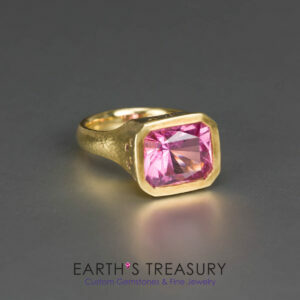 First discovered over 100 years ago, it rose to prominence in the early part of the 20th century, supplying tourmaline to the Dowager Empress of China. When she passed away and the Boxer Rebellion ensued, the Chinese market for tourmaline collapsed and the mine became inactive for a long time. In the 1980’s and 1990’s Pala International once again operated the mine, producing large quantities of tourmaline, but once again the mine is mostly idle. Currently there is only minor hand mining done in the old tunnels, finding pockets passed over by the more recent work. This gem comes from some of that mining; this rough was mined in late 2015 from a small pocket. This beautiful gem is a lovely light lime green color. 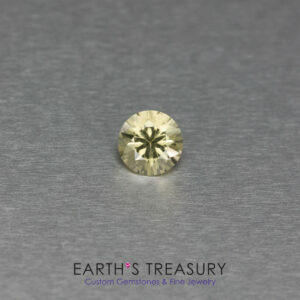 It’s been faceted in the classic diamond round brilliant design. 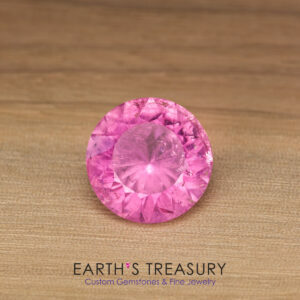 The resulting gemstone is bright and lively in the hand and really shows of the gorgeous color of the tourmaline. 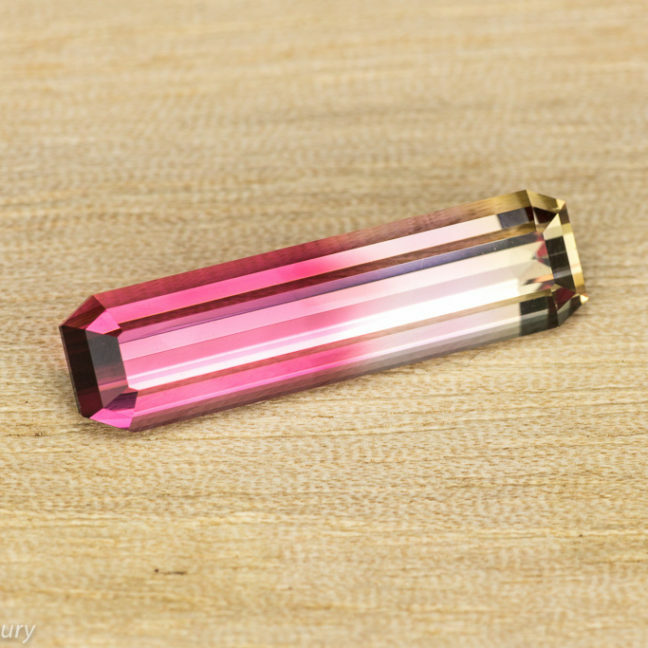 This tourmaline is very clean, making it brilliant in the hand. 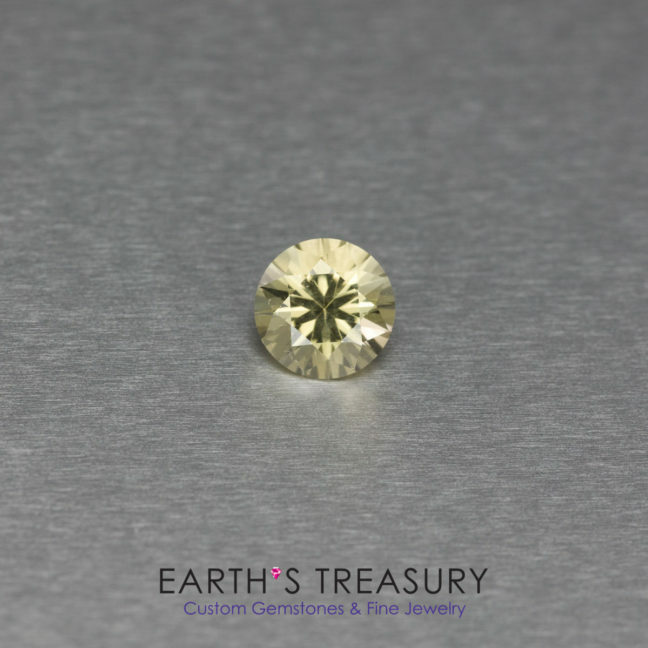 The gem weighs 0.88 carats and measures 6.2 x 4.2.